Glide down the lazy Merced River in the Yosemite valley in summer, or face churning whitewater thrills of the Tuolumne River following the spring thaw. Whatever your preference, the joys of river rafting await you in Yosemite National Park. 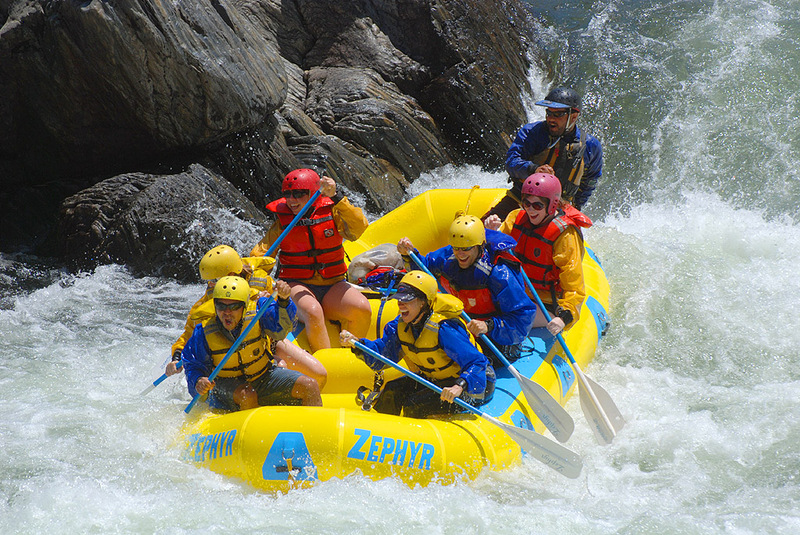 Several companies provide rafting tours throughout the park in all seasons. The Merced tumbles over Yosemite’s Nevada and Vernal Falls, meanders along the valley floor, and builds into a river of pure whitewater fun. The Merced’s clear waters wind through a grassy mid-Sierra canyon dotted with oak and digger pine. Those on early spring trips are treated to wondrous hillsides decorated in golden poppies, purple lupine, and wild iris. Since there are no dams constructed above the stretch of river, rafting trips usually take place when the Sierra snowpack melts, normally mid-April through mid-July. For the biggest waves and longest rapids, one should plan a trip during April or May, usually the months of peak runoff. The section below the Park is characterized by a steep gradient, sweeping bends, and few obstacles to hinder a raft’s momentum. With long straightforward rapids and big rolling waves, “forward paddle!” is the predominant command. This Class IV run, combined with the proximity of Yosemite National Park, brings rafters back year after year. The Tuolumne (pronounced too-ALL-o-me) river provides one of the finest all-around wilderness river experiences in the country. Clear and cool, fresh from its headwaters in Yosemite National Park, the Tuolumne thunders through a grand succession of boulder gardens and spectacular cascades. Voluptuously steep, plunging this way and that, it moves in patterns that are frolicsome, tangled and mesmerizing. In what has been called “the most significant victory in the history of the Wild and Scenic Rivers System,” the designation of National Wild and Scenic River was bestowed by act of Congress in 1984. Spectacular scenery, thrilling Class IV rapids, great side hikes leading to deep swimming pools, and beautiful white-sand beaches are all within an eighteen-mile stretch of pristine canyon. No signs of modern development interrupt the splendor of this remarkable place. 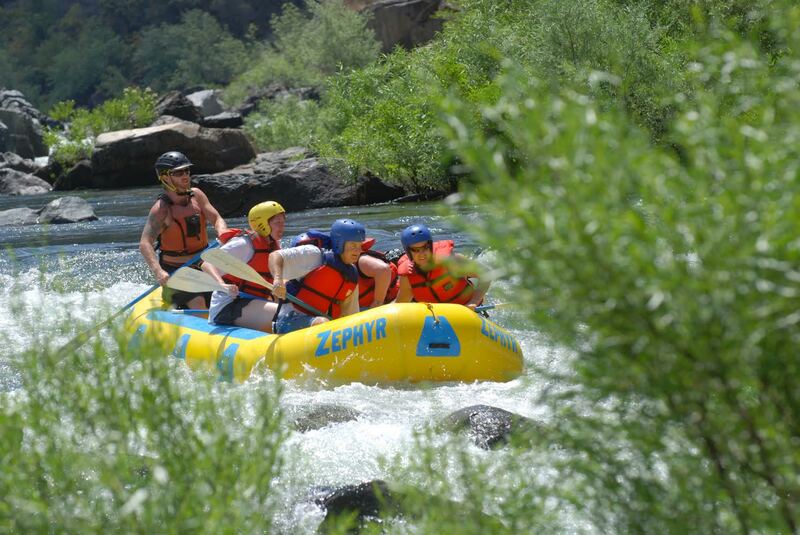 It is a perfect river for those wishing to graduate to Class IV rafting in an unparalleled natural setting. 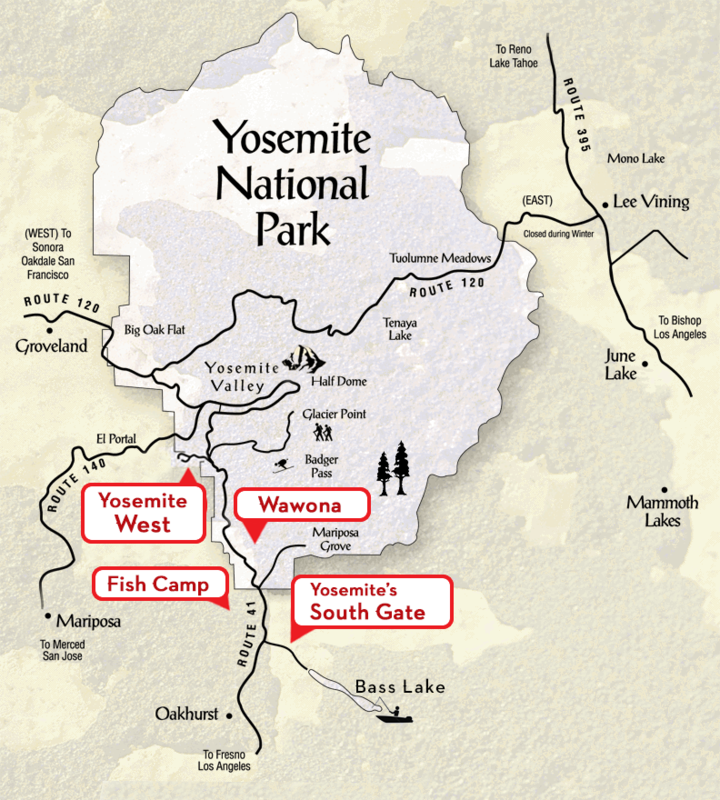 Summer and fall trips are ideal for lounging in warm swimming holes and pursuing the Tuolumne’s renowned trout fishery. During these later months, the Tuolumne’s rapids become a less vigorous Class IV challenge. The Tuolumne is dam-controlled, running April through October. (800) 247-2387 All-Outdoors offers one, two, and three-day trips in paddle rafts and oar-paddle combination rafts. Due to the length of the run, one-day trips have no time for anything but rafting. Two and three-day trips, on the other hand, are an excellent way to more fully experience the canyon. We see historic mining relics, take short hikes along tributary streams to water-slides and deep pools, and still have time to relax in the Tuolumne’s spacious river camps. White sandy beaches shaded by green willows and towering oaks provide the finest river-side camping. Overnight trips are expedition-style as gear rafts, carrying all our provisions, make us completely self-sufficient. The Merced is ideal for those ready to graduate from our "Beginner-Intermediate" rivers, and for adventurous first-timers. Although the flow lessens over the course of the season, the steep gradient of this river keeps the pace brisk, and we are able to cover an impressive 17 miles in one action-packed day! 1-day trips start at $164. (800) 400-7238 On our 2-, 2-1/2- and 3-day trips through this wilderness mecca, we push off into the forest primeval, with all gear aboard the rafts, severing for a time all contact with the outside world. And the longer the better, for the longer trips provide more time to explore, socialize, dream, let one’s hair down, and truly imbibe the full magic of the Tuolumne. High- to medium-water, two-day Merced trips run the action-filled Cranberry Gulch to Briceberg section twice. Low-water two-day Merced trips generally run from Cranberry clear down to Bagby on Lake McClure -- and portage around spectacular North Fork Falls. 1-day trips start at $139/person. (800) 346-6277 O.A.R.S. Yosemite National Park Tours offers white water rafting just outside the park's boundaries on the Merced River and Tuolumne River. Their rafting trips run March through September, and they offer one-day Class III-IV rafting on the Merced River and 1, 2 or 3-day, Class IV rafting on the Tuolumne River. 1-day trips start at $144/person plus $8/person river access fee.